After a new payment processor is set up, the CMS allows specific end-users to use the new payment processor. 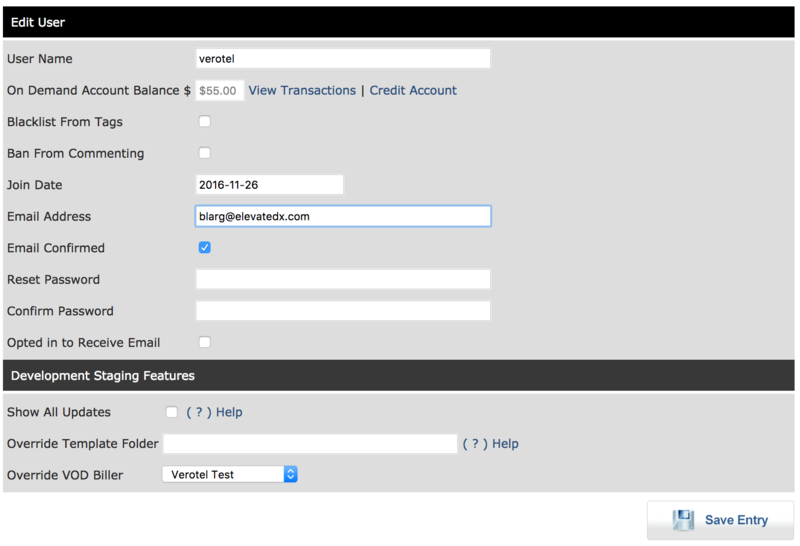 This allows webmasters to test that their billing solution works before deploying it to live users for general use. 1) Under the VOD Menu, choose "Manage Users"
2) You'll then want to look up the existing user you want to have test this payment processor. 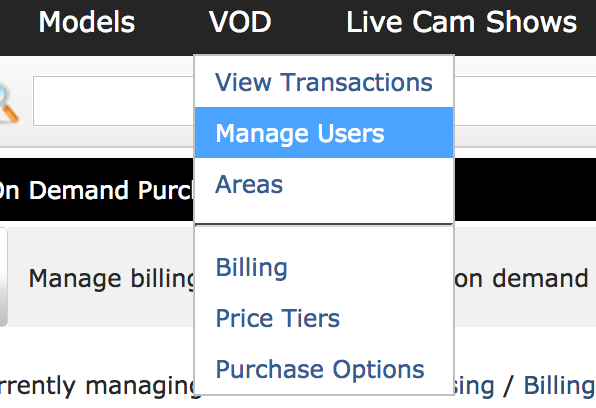 Once you have found this user, click "Edit"
3) Under "Development Staging Features", there is an option called "Override VOD Biller"
You will want to change this from "Default Biller" to the VOD payment processor you wish for this user to test. 4) Once you have made this change click "Save Entry"
Now, any purchases you make when logged in as this user will use the new payment processor you have set up.